“From the start, I worked to create collaborative a client relationship. We reached agreement on our respective roles and responsibilities, along with my rate. We designed a retreat that would meet the organization’s goals based on their needs. I developed a detailed agenda, facilitated the entire day in a way that led towards effective group decision-making and allocated time at the end of the day for participant evaluation. I worked hard from beginning to end to create and sustain a participatory environment. I affirmed the diversity of their group throughout the process and welcomed all of their ideas. I planned a group process designed to foster open participation from the diverse set of personalities that made up the organization’s board. I was already aware of the organization’s culture and could relate to it because I share many of the same values and had facilitated numerous similar organizations. I continue to build my own knowledge and experience as a facilitator. 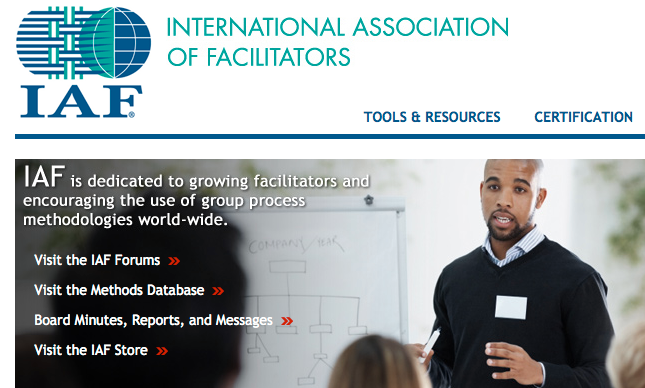 I appreciate being a member of the International Association of Facilitators and would recommend the site to anyone looking for best practices in facilitation. I’m excited to have earned the designation of a “Certified Professional Facilitator and look forward to serving many more organizations in this capacity. This entry was posted in Facilitation and tagged Facilitation. Bookmark the permalink.